Amber NecklacesThere are 93 products. Looking for eye-catching necklaces? Discover wide range of Baltic amber necklaces made using the finest and different shaped amber beads in a different shades of amber! 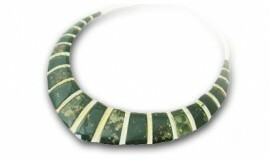 Necklaces can be of any size and can be found in unique design. Combine it with the matching earrings, bracelets or rings. Try to find your unique one!